C.S. 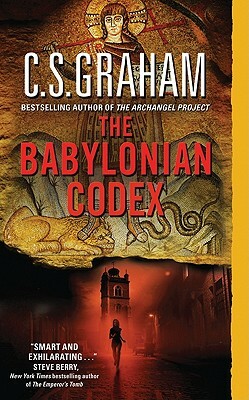 Graham is the pseudonym of writing team Steven Harris and Candice Proctor. Steven Harris spent twenty-one years as an Army Intelligence officer. His career ranged from participation in the Army's controversial domestic spying activities to running agents in Southeast Asia. He also spent ten years in Washington, D.C., working at the national intelligence level. Candice Proctor is the author of more than a dozen previous novels, including the critically acclaimed Sebastian St. Cyr mystery series published under the name C.S. Harris. A former academic with a P.h.D. in history, she has lived most of her life abroad, in Europe, the Middle East, and Australia.